One of the things we want to instill in our kiddos is a love of books. We want them to enjoy reading– getting lost in another world, expand their horizons, fill their imaginations with stories and characters. 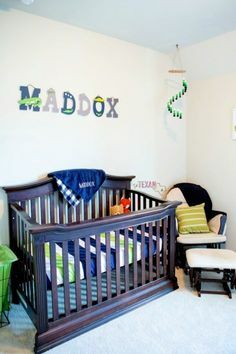 Matthew already begs to read books over and over again and Mason can’t get enough of flipping through the pages. Advent is a big deal in the Catholic faith since we spend the whole time getting excited for Christ’s birth. Rather than doing a “traditional” Advent calendar with candy or little toys, we decided to wrap up 29 books (since Advent starts on November 27th this year) for Matthew to unwrap every day. Each one is about Christmas. Some are religious, others are just fun about Santa, reindeer, presents, etc. Some of them even encourage other activities along with them (like Elf on a Shelf or A Tasty Christmas). It took a while to wrap all 29, but with two tubes of $1.50 Michaels gift wrap, some tape, and a little time, we have our own Advent calendar that encourages a love of reading and gives us time together as a family each and every day of Advent! I thought I’d share the list of books I wrapped up for our Advent calendar with y’all, so you could get some inspiration for your own book Advent calendar, as well as ideas for books that have already been vetted by a fellow mama! None of them are Catholic-specific, but some are religious. They’re all toddler-approved, however, and very fun for Christmas! The Very Hungry Caterpillar’s Christmas 123 by Eric Carle– The Very Hungry Caterpillar counts his way through traditional Christmas-related items. Tiny Blessings for a Merry Christmas by Amy Parker– All about the simple things in life, this book talks about the little things that make Christmas special. The Story of Christmas by Patricia A. Pingry– A toddler-level version of the Christmas nativity story, beautifully illustrated. Little Blue Truck’s Christmas by Alice Schertle– Another in the Little Blue Truck series, this one is just too cute. Plus, the Christmas tree at the end LIGHTS UP! The Twelve Days of Christmas in Texas by Janie Bynum– Is there any state with more pride than Texas? I think not! We certainly deserve our own Twelve Days book! Deck the Halls by Veronica Vasylenko– Yes, this one will get the song stuck in your head, but it’s so worth it to see the little mice decorate their home for the holidays! Llama Llama Jingle Bells by Anna Dewdney– Who doesn’t love llamas and Christmas?! Plus, it’s a great intro book for the longer Llama Llama books. Elf on a Shelf— I know, I know. Love it or hate it, right? This will be our first year doing it. As Matthew’s first book to open (the only one we’ll steer him towards), I think it’ll be a fun way to kick off the Christmas season. Santa is Coming to Austin by Steve Smallman– Santa flies over all your favorite Austin landmarks! The Spirit of Christmas by Nancy Tillman– All about the true meaning of Christmas, it encourages readers to remember that Christmas is about spending time with those they love. Plus, toddlers love looking for the “Spriit of Christmas” image on every page! All I Want for Christmas is You by Mariah Carey– I know, it’s another one that will get the song stuck in your head, but what fun it is to have a holiday favorite illustrated! Santa’s Stowaway by Brandon Dorman– Written and illustrated by a dear friend of ours, this book is perfect for little ones to learn about the secret of Christmas through a vehicle (no pun intended) they know all about already– Santa’s sleigh! I couldn’t have an Advent calendar without this one. Santa’s Reindeer Games by Samantha Berger– Santa plays the referee while his reindeer play all sorts of fun winter games. Home for Christmas by Jan Brett– A little troll searches for a place he loves more than home, but quickly finds out that his home is the perfect place to be. God Bless Our Christmas by Hannah C. Hall– I love how this book highlights the winter world of animals by using only a few colors, while it talks about enjoying the season with your family by decorating, baking, singing, and other fun Christmas activities. How Do Dinosaurs Say Merry Christmas by Jane Yolen & Mark Teague– Is there anything better than dinosaurs and Christmas if you’re a toddler (boy OR girl)?! I think not! Corduroy’s Christmas Surprise by Don Freeman– Corduroy explores Christmas and finds the true meaning is good friends. If your kiddo loves Corduroy as much as mine does, they’ll love this book! The Littlest Elf by Brandi Dougherty– The littlest elf in Santa’s shop learns from the littlest reindeer what Christmas is all about. For our little people, this can be an especially helpful lesson. How the Grinch Stole Christmas by Dr. Seuss– Is any Christmas book list complete without the Dr. Seuss classic?! The Twelve Dogs of Christmas by Kevin Whitlark– If your kiddo adores their furry friend, this will be a perfect book for them to work on number recognition without it feeling like work! Merry Moosey Christmas by Lynn Plourde– Rudolph wants the year off, so he asks for a sub– a perky moose! A Homemade Together Christmas by Maryann Cocca-Leffler– A family of pigs decides to make each other’s gifts for Christmas, but the littlest pig has a hard time figuring out what HE wants to make for everyone. A Charlie Brown’s Christmas by Charles M. Schulz– Another classic that simply must be included in any Advent calendar. Christmas Love Letters from God: Bible Stories by Glenys Nellist– This is hands-down one of my favorites on the list. It includes “love letters” from God to your child, with 7 Biblical stories about Christmas. If you’re looking for a perfect book for your Advent calendar, this is it. The Polar Express by Chris van Allsburg– A young boy is welcomed aboard The Polar Express, where he travels to the North Pole to make his Christmas wish. How to Catch Santa by Jean Reagan– A hilarious how-to book, instructing your child how to catch Santa! The Christmas Sweater by Glenn Beck– Despite the author’s controversial name, this book is a sweet story about a little boy who learns how much more a Christmas sweater can be. It was also illustrated by Brandon Dorman (who wrote and illustrated Santa’s Stowaway)! The Last Christmas Tree by Stephen Krensky– Surrounded by big, beautiful Christmas trees, the Last Christmas Tree has the most Christmas spirit, but is definitely not anyone’s first choice, until a special visitor gives it the chance of a lifetime! BONUS: Twas the Night Before Christmas by Charles Santore– My parents gave us this one for our first Christmas together, after my dad read it to us girls our entire lives (and my Pawpaw read it to my aunt and dad as well), long before babies were in the picture. We read it every Christmas Eve, and are excited to continue the tradition with our little men. 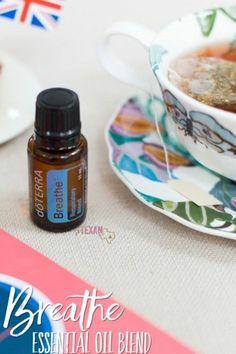 Breathe Essential Oil Blend is a great choice when seasonal threats are high or you need to clear your airways and promote better breathing. Check out all the uses and benefits here! 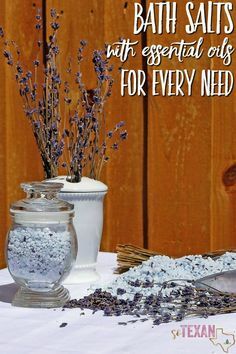 Bath Salts with Essential Oils for literally any need you can think of!